Click here for information about course dates and costs. For whom is our puppy class? 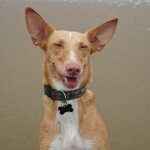 For people who want to raise a ‘bomb-proof’ dog: a dog who is relaxed and polite in everyday family and city situations. The course is designed for any owner (experienced or less experienced) who would like to receive advice and guidance based on modern professional and scientific insights. In principle, pups between 10 and 16 weeks are welcome to join but we always look at your personal circumstances. 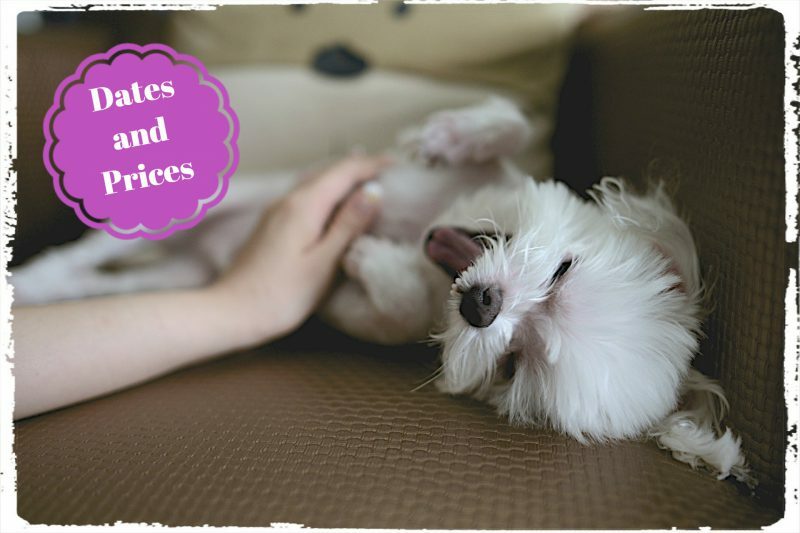 Should your pup be a little younger or older than that, you can still sign up and we will discuss the best options with you. 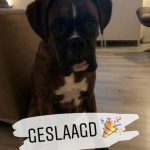 Is your pup 5 months or older? Then you can sign up for the Obedience training course. If you have any question, do not hesitate to contact us. It would be our pleasure to help you. If you are curious about how what puppy owners think about their experience with us, check our testimonials page (look for the word ‘pup’). Do you want to give your pup a good start in life? During our puppy lessons, we give the pup real life skills so he approaches life confidently and calmly. 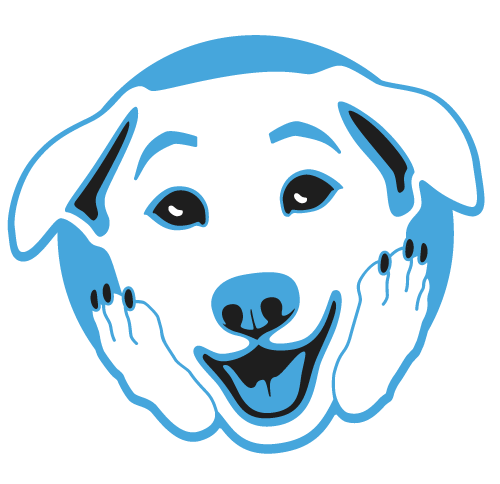 At OhMyDog!, we teach your pup to feel secure and recover quickly from life’s little scares. It is also the opportunity to let him see other dogs in a controlled environment. We will also show you how to curb bad habits before they become entrenched. Focus on life-skills: The lessons focus more on life-skills (impulse control, good manners, bounce-back – stress resilience, patience and socialisation) rather than obedience (like ‘stay’). 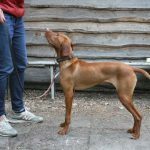 This gives your pup the best shot at growing up into a happy, well-behaved, well-adjusted and sociable dog and reduces the chance that they develop common behaviour problems. Open enrolment and small groups: Puppies can start every week so that you don’t have to wait long before joining. 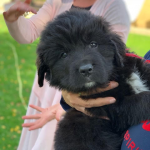 We ensure that beginners and advanced puppies are challenged at their respective level through giving much individual attention (small groups and two trainers per group). Open enrolment also gives your pup a chance to be exposed to a greater variety of puppy sizes, breeds and ages. Vaccinations: We prefer waiting until the pups have received their second vaccination (so from 9-10 weeks). If you are worried about the health risks of enrolling your pup before their third round, see our vaccination section of our FAQ. Supervised play: We let the pups play under supervision during a dedicated lesson. We then match compatible play partners together, give ‘live’ commentary about their body language and interactions, and show you how and when to have them take a break. This helps you understand and supervise play sessions between dogs in a well-informed way. If you introduce a person, situation or object a few times in a positive way to a 6- to 12-week-old pup, the positive association will stick for the rest of the dog’s life. Expose them any later, and they may approach with caution or fear, with all the headaches this entails. At OhMyDog!, we pack your pup’s socialization window full of positive experiences with joggers, uniforms, kids, hats, umbrellas, and all sorts, so the dog gets used to them in a gentle and positive way, and learns to behave calmly and confidently around them. 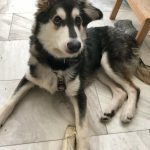 At OhMyDog!’s puppy classes, we also give you the key to dealing with typical puppy problems like jumping up, play biting, destructive behaviour, or house-training. Make Rex brave: Teach Rex to get over life’s little stresses, and to find a loud truck, horses, a vaccuum cleaner, the most normal things in the world. 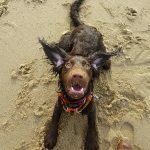 Socialisation and habituation checklist: All the things to get Rex to love, in one neat little list. He's really changed since your visit. He is really chilling out, we've had no pee incident recently and we have now been able to gradually re-introduce him to the living room again. He is now able to come in and behave himself at least half the time without tethering at all (which is a massive improvement already). We've been taking him to the dog park every day without fail and he loves it, runs and runs with the other dogs and has made some definite friends there. In the street he now mostly ignores people apart from on the odd occasion but still is crazy if he sees other dogs (crazy to play with them that is). He now gets far less excited and far less easily - haven't had any incidents of excessively hard mouthing or wide-eyed-crazy-dog for quite some time. 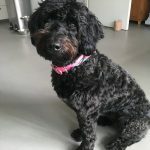 Hi LaureAnne, I think it's about a year ago that you came and helped Pip and I and just wanted to let you know she has been amazingly well behaved ever since (I might have jinxed it now...). Not sure if I am applying your techniques exactly as you tried to teach me, I get the timing wrong more often than not, but it is definitely working for the both of us, so a big thanks is in order!! 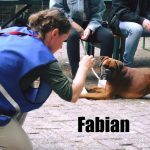 Really positive experience with this dog training school. They clearly take a lot of pleasure giving the lessons, and they do so very patiently. The advice is also evidence-based. Our dog and ourselves have learnt an awful lot with this course, and we recommend it to anyone with a dog. We followed the Obedience for the family dog course. Laure-Anne gives the lessons in a really relaxed way, but makes sure you learn useful things. 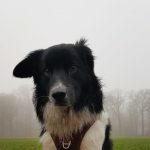 You also get a solid explanation about the theoretical context behind the advice, so that you know why an approach might work better than another with your dog. They also place a lot of focus on the welfare of the dog, and how they experience the lesson. Our dog really got a lot out of the course. 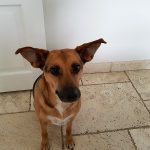 I have just finished behaviour therapy with my 2.5 year-old Spanish dog, because walking her had become hard, and really stressful. The intake with Laure-Anne was really nice. She really listened to the problems I was having, and put together a training strategy to tackle them. I then ran through each step of the training program through 4 practical sessions of 45 minutes, coached by Stephanie. I can already see the first results. I am really pleased with how it all went. Of course now it is up to me to practice, before I can really have relaxing walks with her, but now I know how I can tackle the problem. We want to thank the whole team for the lessons and the advice. We've really learnt a lot. Will you pass this on? Our Charlie was less than successful during puppy class, so we took a few private lessons from Laure-Anne. Together, we have met the goals we'd set ourselves. After 7 sessions, I can say that we have learnt some really useful tools for managing Charlie, and that we understand his learning process a lot better. 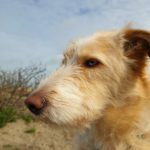 Their positive approach towards Charlie made us feel supported in our knowledge that he is a loveable and good dog, but a dog that comes with a set of instructions. We are happy with Charlie again, and we can now look at a future with him. A puppy class with a difference! You won't get the usual focus on commands in this course. But you will learn to read your dog, and to navigate daily situations. Really valuable! The instructors are professional. I also appreciated the presence of the coaches, who ensure that the pups are entertained so they don't get frustrated whilst waiting their turn, if they get bored or want to explore. The foundations are there. Now, on to the obedience course! 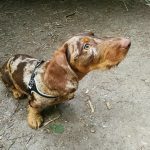 I followed the puppy class with my working line cocker spaniel, and I would definitely recommend it to owners of active breeds. They carefully adjust to the needs of each dog/handler combination. The instructors are highly educated, professional and creative. You get valuable feedback on how you execute the exercisees, and there are coaches at the ready during the group lessons, for when you need help. You won't learn the rote commands: you'll learn the skills you need to navigate daily life instead. We did the Obedience for the family dog coures with our 7-month-old Labrador x Beagle cross, Bobby. Tamara and her team of interns are not only really skilled, but also relaxed. Our Bobby has quite a lot of energy, so we got a bumpy ride, but we've learnt a lot during this course, and we are really proud of his certificate. I would definitely recommend them! Experienced dog training school where I'd love to go back for a follow-up course! They teach you these little tips that make a world of difference in how effective your training is. (they teach in a really positive way, without forcing the dog or anything) Friendly trainers with lots of trainers personal attention for everyone. I also appreciated that the classes were given to very small groups of dogs. 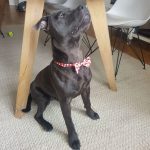 Since Laure-Anne came to our house for a behaviour therapy session, I can read my dog better, and I know what he needs to understand what I want from him. I am now walking much confidently on the street, because I understand what I can and can't expect from him. 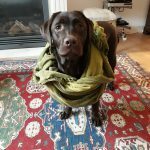 Although Laure-Anne works with sustainable solutions in which your own time investment, as the dog's owner, are core (no quick fix), we already started noticing a difference in our bond with the dog, and in the dog's will to work, a couple of days after we started working on the exercises. The consultation took place in a relaxed and pleasant atmosphere, and I noticed that my dog immediately felt comfortable with Laure-Anne. Laure-Anne really listened to our worries and questions, and really observed the dog astutely. Using her extended knowledge, she delivered a tailor-made solution for us. She made sure that no additional lessons were booked and did not try to sell more lesson time unnecessarily. 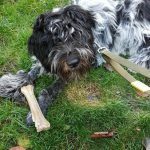 I highly recommend Laure-Anne for everyone who wants to better understand and coach their dog, even with older dogs with physical problems, as is the case for us. Super nice, and qualified, trainers. Thijs is happy with his diploma! Thank you for the nice training lessons! 🐾 Love, and see you soon for our next course. 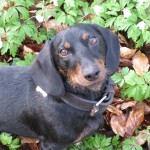 We are so pleased that we contacted Laure-Anne to help us with our dog. 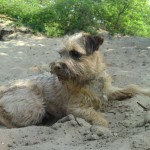 We love our dog to bits but there was some troubling behaviour that we could no longer ignore. For example, walking her had become a nightmare, as she would freak out at any dog we came across. 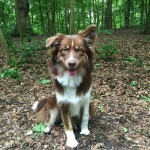 Now, with Laure-Anne’s help, we all enjoy walks again, including our dog who is a lot calmer. This has had a hugely positive impact on our lives. Really enjoy the fact that Laure-Anne offers quick fix management solutions, as well as long-term training. This means you can get almost instant results and yet work at improving lasting behaviour. It’s also really interesting to learn about the science behind the techniques. Thank you for our tailor-made course! We enjoyed our classes and though the theory class at the beginning was a great idea. We would encourage anyone who wants to enhance their relationship with their dog(s) to join! At Oh My Dog, you’ll get ultra competent instructors who offer tailor-made lessons, adapted to your dog’s character and age, in green surroundings. Ideal when you’ve adopted a puppy and want to create a close bond with him! I highly recommend them! Many thanks again for all you did! Very nice and good school. I learned a lot with my Akita puppy. A must for everyone. I attended the High Risk Dogs seminar organized by OhMyDog. I highly recommend it to anyone: whether you work with dogs professionally, or are a regular dog owner! The seminar was about what the current policies and legislation regarding the dogs listed as High Risk by the (Dutch) government. The seminar also discussed the issues critically, based on scientific facts, and with a focus on animal welfare. Great place to deepen the bond with your dog, and to learn that training can be fun (for you and for your dog!). Laure-Anne is great in her dealings with dogs and the ‘owners’. 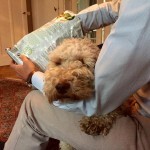 Our Labradoodle, Max, came into our house when he was 2 years old already. This course helped put us on track to him feeling completely at home in the family! 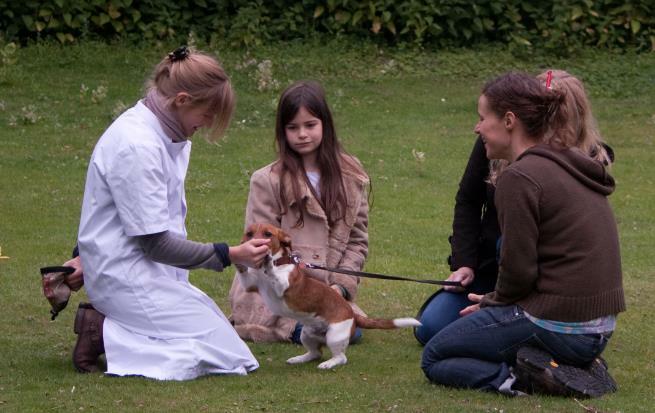 I recommend Laure-Anne’s animal-friendly and science-based puppy course to everyone! 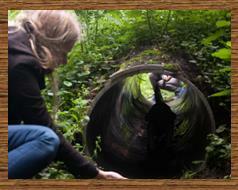 Great location to socialise and guide your puppy/dog in a fun way. Experienced trainers who clearly have a great love for dogs. 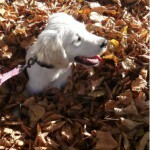 Followed the Puppy Socialization Course - English version. Team is amazing and we enjoyed the experience very much. Highly recommend to participate! Puppies have fun there as well their owners. Will be also following the Obedience I course in the future. Very professional! Given very useful information on the first meeting and an honest opinion on my dog. She could see that my dog needs more medical help, as well as the training. Instead of drawing out a long attempt (and more money) to try and correct my dog, she recommended a Veterinarian for me to consult! Easy to work with and always courteous. Every euro spent with Laure-Anne was worth it. She came thoroughly prepared, explained the issues clearly, helped both us and our dog to learn the exercises, and followed up with us promptly -- all with a friendly and professional manner. We started the obedience for the family dog course with a very enthusiastic and excited boxer. Our main goal was to get a calmer dog that didn’t jump on everyone he meets, and to not harass guests with his intense happiness, jumping and licking. I am happy to announce that we have just completed our first weekend with an overnight guest and a calm dog. 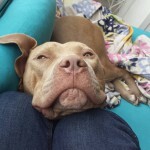 He ended up sleeping with his head in the guest’s lap. We still have a lot of training ahead of us, but I’m so proud of my dog for coming this far. Huge thanks to Laure-Anne for all the help we got. 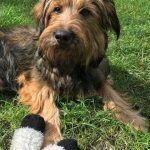 Would absolutely recommend OhMyDog! It was fun, my dog and I we both learned a lot! Laure-Anne and Sabine are great trainers, they have a lot of patience and are always very kind with all their students ;-) It was a great experience and I'll always recommend. Top dog training school! Really nice lessons and competent instructors. My dog, Guus, and I, have learnt a lot here. A lot thanks to the good theoretical underpinnings of the lessons and exercises. We are definitely registering for the next course. A scientific approach to how to raise your dog to become a good K9 citizen. 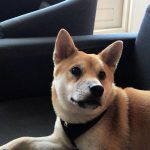 Laure-Anne, the owner of Ohmydog, stays up to date with the latest research and applies it to the training. 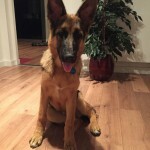 My dog has developed immensely thanks to her knowledge, tips, and training. Especially liked that there was a course held only in English [OMD note: we have courses in Dutch too. Maria is pointing out that the lessons are separate]. Great for us that haven't grasped the Dutch language just yet! Enthousiastic trainers and equally enthousiastic owner. Relaxed training classes without fuss. Just keeping nice and busy with your dog. I would absolutely recommend them. 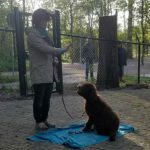 I attended both the basic obedience and puppy socialisation courses with OhMyDog and thought they were excellent. 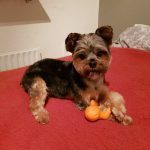 Our dog progressed so much throughout the courses, not least of which because the instructors are so knowledgeable and the course is designed to cover so many every day issues you have with a puppy. Loved it and thoroughly recommend! 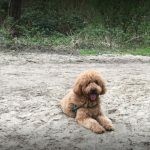 As a first time dog owner, with a very lively Labradoodle OhMyDog has been a massive help in the first few months of having a puppy! 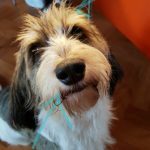 I took two courses with my puppy, Mia and these courses have given us the confidence and techniques to use in everyday situations. Lovely trainers and relevant information on the courses tailored to suit the needs of the pupils, I would highly recommend. Very friendly, professional and dog-interest driven school with very fun approach that let you enjoy every lesson with your furry friend. 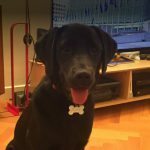 (Google review, about the Obedience for the family dog course) Great Science based dog training, did puppy and follow up obedience course. 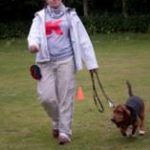 This course had real world results in dog attitude at the vet, on lead and with other dogs. Great coach's who gave us tools we could understand at that you could actually see working, loved it! 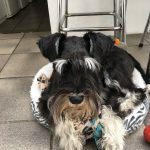 (Facebook review, about the Puppy class) Very good puppy course (we took English version), based around principles of dog psychology (understanding 'Why' he reacts how he/she does), grounded in practical application in a group of approx 5/6 pups. Highly recommended and will be moving on to the Obedience course next based on the super results with our new dog. Laure Anne was great in training my puppy Roku. He was very bad with recall and that was the reason why I wanted obedience training. After training he listens quite well and has become much more disciplined. All thanks to ohmydog training school.. Laure Anne is so helpful and supportive. Would highly recommend her..
We started on the puppy course with our 10 week old Golden Retriever and we all enjoyed the classes very much. We are the first time dog owners and the puppy course was a great learning experience for us. The trainers are fantastic, and the possibility to do the course in English is great, because my Dutch is still a bit rusty. We are really looking forward to continue on the follow-up course! Just completed our puppy classes and the Obedience for the family dog course with our 10-month old pup. What a great team of trainers! We have learned so much, and there is a nice atmosphere with lots of individual attention for each dog and owner! We are starting the advanced obedience course in September. It is such a nice way of spending time together with your dog ! I definitely recommend you follow a course at this training school! I would like to bring some limelight to 'Oh my dog'. Floortje followed her Puppy lessons and her Obedience course there. Laure-Anne is very knowledgeable about dogs and managed to bring this to life during the theory lesson. The other trainers there were also all clearly very competent. Floortje followed her lessons with Sabine and a couple of her colleagues. Sabine's didactics were strong, and she was super sweet to the dogs. We really appreciated that Oh my dog only allowed a maximum of 6 dogs per group. This ensured that relative calm reigned during the lesson, and allowed for lots of individual attention for each dog. In short, I really recommend them! Thank you very much for the fine learning environment! We followed the puppy class with our dachshund, 8 weeks old at the time. Every week we saw more progress in our dog, and also with ourselves. Every instructor has been great, and showed a personal approach to each dog and student. We are definitely following the follow-up obedience course! Thanks to the course given by Sabine (Boks), we are learning more and more about Husky behaviour. This helps understand Akita better. 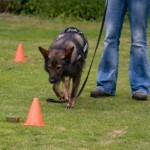 Akita has showed clear progress as a result of the course. 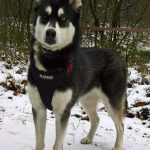 We are also relieved that Akita can now stay calm even when close to other dogs. 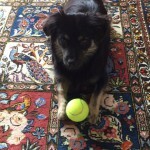 Our first lessons with Ohmydog were the obedience course. We took this last year with our Icelandic sheepdog: Simba. 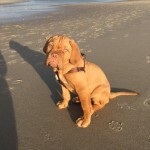 Simba is our first dog, and it would be the first time we followed dog training lessons. There are so many dog training schools in the area that we didn't know which one to pick. What made the difference was Ohmydog's evidence-based principles: techniques that are supported by scientific research. This is an important point for me, and it demonstrates that the school doesn't just randomly select their exercises. What they are doing works, and they can demonstrate it. Simba was too young to join at first, but I knew that the adult course was a perfect fit for him; Laure-Anne saw this too. I have to say that Icelandic Sheepdogs are extremely smart and keen to learn. That comes hand in hand with a dog who becomes bored when not stimulated. Laure-Anne knew to keep Simba challenged at every lesson, adapting the exercise to his level each time. We are still reaping the benefits of that course; among other things, he masters waiting on command, not stealinging from the table, and coming back immediately in case of danger. 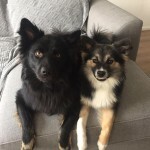 Last June our second Icelandic Sheepdog, Joy, arrived. We'd enjoyed the course with Simba so much that we didn't need to look far for Joy's training course. We registered her for the puppy course, this time. And this course also met our expectations! Laure-Anne is incredibly knowledgeable about dogs and dog behaviour. She knows what she's doing, and she bases her advice on scientific research. You learn to approach your dog in a positive way that does not reward unwanted behaviour. She has so much love and passion for her field of work. So both she, and her instructors, deserve five stars! Keep up the good work, Ohmydog. I certainly recommend your school to anyone who asks! For the first time in our lives, we have a dog as family member: "Buddy". 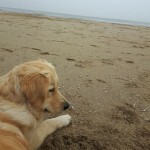 Buddy is a super sociable, blonde Golden Retriever. But yes, how were we going to raise her? I googled local dog training schools and "ohmydog" caught my attention because of their reviews. 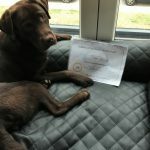 Buddy has just finished her puppy course (we have already signed up for the follow-up obedience course), and I have to tell you: I am super happy with the course and the way the lessons are given. The personnel is really motivated, and have great practical tips, as well as a lot of knowledge about dogs. See you in January for my next course! 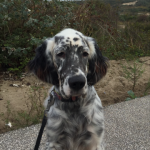 We just finished our 10 week obedience training course with our 6 month old English Setter. 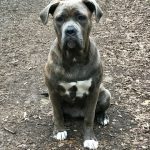 We have had many dogs through out our life and have attended many obedience classes, but none have compared to the technique that Laure-Anne teaches. The approach that Laure-Ann takes and the theory behind the lessons, I found to be particularly helpful--It was nice to hear the reasoning behind the teachings and not just be told what to do. I would be lying if I said that Mabel was now the perfect, she is now only 7 months---but she has come a long was and now we now have the tools to help her get to that perfect point. I appreciated the small class size and the fact that she gave every dog individual attention. 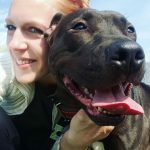 The fact that Laure-Anne is open to answering questions during the class is also great. . Laure-Anne and her team definitely know how to work with dogs and communicate proper training techniques effectively to their owners. I would definitely recommend "Oh my Dog" to anyone.... We will be joining the next Obedience class. Wonderful experience. 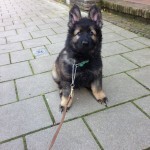 I have joined the puppy course with my 3 months old German Shepherd Zeus and we both loved it. The atmosphere is really friendly, you can see that the trainers really love dogs and know how to teach them! I cannot wait to start the obedience school with them! I am the proud owner of a teenage Golden Retriever who is behaving perfectly except for the barking at home when I was leaving for work in the morning. 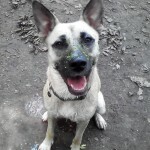 I contacted OhMyDog because I had no idea how to fix a behavior that was occurring when I was not there. After one consultation the trainer identified the problem and suggested several ideas on how to fix the issue. And within one week, we fixed the problem! A happier dog, a happier owner and happier neighbours ! Many thanks to OhMyDog from Lutèce and me! I would highly recommend the OhMyDog! training school in The Hague. 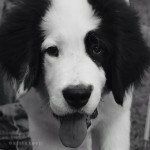 I have really enjoyed both the puppy and obedience classes which I took this year with my Australian Shepherd. 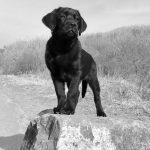 The puppy classes provide owners with everything they need to get started with a new pup, from socialization techniques to basic commands. And the obedience classes build on that foundation to ensure a happy and healthy relationship between you and your dog. 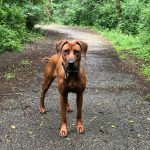 Laure-Anne and her trainers are knowledgeable and experienced in dog training and behaviour therapy. 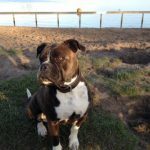 They clearly explain the theory behind each of the techniques they teach, and tailor the exercises to match your dog's needs and abilities. And the class sizes are kept small to ensure plenty of one-on-one attention for you and your dog. The classes were always fun, and I loved hearing Laure-Anne's anecdotes based on her experiences with her own dog. Laure-Anne has also provided more general guidance and support, which I found particularly helpful as this is the first Aussie I've owned. Being a first time dog owner I found going to the OhMyDog! puppy class and then the obedience class very helpful and reassuring. 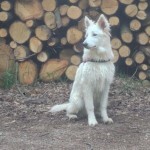 My Swiss White Shepherd really enjoyed socializing with other dogs and I really enjoyed Laure-Anne's and her team's tips and advices (which are always told with nothing but care and understanding). The whole OhMyDog! philosophy is based on a humane and kind relationship between you and your dog and you can feel that Laure-Anne is speaking from experience. The theoretical part of the class was eye-opening for me, and I feel I can now understand what my and other dogs are expressing through their body language which is a very useful thing in a crowded situation. I would highly recommend the school to any dog owner and dog lover. Thank you! These people are professional, kind, smart and easy to work with. They really love dogs and it shows. We are so grateful for their help in sorting out our super energetic puppy with patience and encouragement. We would like to take this opportunity and to extend our thanks to you, and your team for the great training course. We appreciate and encourage OhMyDog's efforts to provide this type of quality training to the trainees and to the dogs. It provided us and Frantz an opportunity to increase our skills. Thank you sincerely for the opportunity. I loved to feel that Frantz loved his classes and loved Wednesdays. I could see he was waiting for me to get back home and take him to the class. Friendly and efficient atmosphere. Cool and knowledgeable instructors! Real dog lovers! Really great course, good coaching, lots of invididual attention and above all, really nice for both owner and dog. 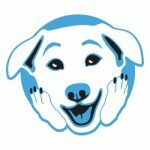 We followed puppy lessons with OhMyDog! Positive, entertaining, and energetic lessons filled with gleeful exercises. 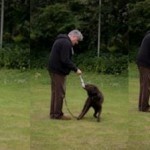 The training provided a lot of support for the proper education of the puppy and teaching her good manners! Thanks a lot! We followed the puppy class, then later, with our adolescent dog, the obedience 1 class, at Oh My Dog. Our dog (and ourselves!) have learnt so much from these friendly and knowledgeable instructors! The theory evenings were also super instructive! There was always time for extra questions and we left the field a little bit wiser each time. I highly recommend them! Oh my dog is a really great school where our young dog has learnt a lot. The instructors are all friendly and really passionate. For the dog, it was party-time every week with lots of treats. We also had a lot of questions about our adolescent dog, of course, and the instructors always took the time to listen and give good advice. In short, I would highly recommend it! We would like to thank you again for sharing your knowledge with us, for the tips and tricks. It has been of great help to us raising Milo. And also thanks for the detailed homework e-mails, now we can always refer back to the guidelines. Becka came to live with us about a year ago. We had just adopted her from Spain and right from the start, she found everything scary. Her coping strategy was to bluff her way through. She would bark, growl and lunge at everything and everyone she didn't trust (people, other dogs, cars, loud noises, etc.). 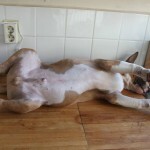 Thankfully, she was a lovely dog at home and she quickly learnt to relax there. 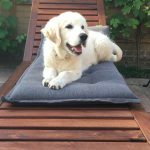 We sought the help of a behaviour therapist over the first few months, then we started with a few private lessons from OhMyDog!. And yes, after nine months, Becka was ready to participate in her first group lessons - with other dog closeby. We followed the obedience 2 course. The group was very small, so a each dog and owner could get a lot of attention from the instructor. During class, Becka didn't just gain basic training skills, but she learnt to be more self-confident, so she started to react a lot less to her triggers. This makes living with her - and walking her - nicer and nicer. We are really grateful to the ladies for their input, their explanations and their help. We are most definitely coming back to train some more and just join the Fun. Nice, dedicated teachers with a heart for dogs and their people!!!! Solid step-by-step instructions, and above all a really nice atmosphere. I appreciated how quick they were to intervene when the saw Duke was getting wound up, asking other owners to get their dogs to look away from Duke. Very supportive. Having a border collie puppy requires that you socialise your dog in a good way, which is challenging the dog whilst taking care they don't get bored. Managing the high energy and focusing the intellect is the main challenge for the breed and all this was achieved at the puppy course. You get fun exercises based on scientific knowledge which provide you some good directions for the socialisation process. Whether you are already experienced in raising puppies or not, you will definitely learn something new aiding you in the education of your dog. 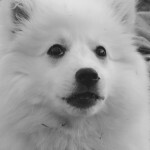 I would recommend OhMyDogSchool to owners of working breed puppies and to properly challenge your dogs. 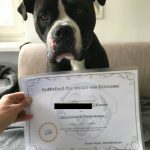 Great dog training school that I would recommend to everyone! 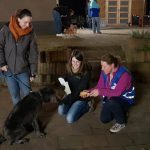 Besides really good practical lessons in small groups, and a relaxed atmosphere, they also give an especially good theory evening on dog body language and on dog behaviour. Really instructive! The fun class was really nice and so much fun. I found the general atmosphere and the approach really good. And the beautiful surroundings. Even the start/end times were convenient. Zoey enjoyed herself, really, and that's what it's all about. The fun class atmosphere was really convivial. We had a nice small group. I loved the positive approach, even when the dog doesn't work it out immediately. Nice approach to teaching, with clear explanations. Really nice to work on beginner tracking. That's what's fine with the fun class: you just do it. Nice and varied games too (brain games): really nice idea to use trees too, your creativity is fantastic. I would love to see a follow-up course. As an expat, your language abilities are a big +!!! I had some difficulty in following courses in Dutch at other training schools, while the environment was not near as welcoming to non-nederlanders. 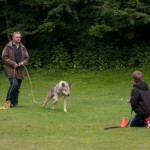 I was looking for a training school I could attend with my wolfshound, Kane. As a behaviour therapist and dog training instructor, I had high expectations. When I found out the school had just launched, I started having some doubts. 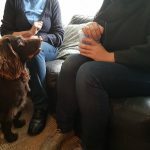 But these soon disappeared: Laure-Anne and Nicolle really know what they're talking about and are up-to-date on the most recent facts about dog behaviour. During class, you get clear explanations and a calm atmosphere. I definitely recommend it. Harry is a six-year-old labrador whose previous owners couldn't afford to look after him anymore. They hadn't taught him a thing: he didn't even know how to walk up stairs, nevermind listen to us. After weeks of trying myself, I decided to take him to training class. 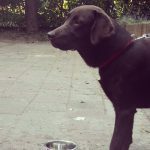 Harry is one of our three labs and is no problem at home, but he's a disaster outside where he feels uneasy, can't concentrate and barks nervously at anyone. The school took direct measures to shield him from what made him bark, so that he could join on the exercise. The lessons were given in Dutch and English. In a city full of expats, that can be handy. Harry learnt a lot in a short time. The group sizes was small so you could get a lot of individual coaching. The theory evening was also new to me, and definitely also something I recommend. Much information and additional guidance through mail too. 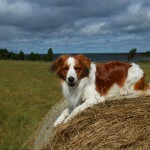 In short a pleasant class on a pleasant field with green places nearby to let your dog out before or after the lesson. Also, easy parking. Harry still finds it hard to concentrate and is still quite insecure, but he has improved quite a bit through this training, and now he listens to me. We now have a basis upon which to expand. (About Obedience 1) We really learnt a lot in the beginners' class with our three-year-old shepherd, Saartje. We found the teachers knowledgeable, patient and sweet. There was room for personal attention and we could always ask questions. The field is really great too. We are definitely coming back for a follow-up course! - (About the Fun course) The Fun class was nice and varied. We got an introduction to all sorts of dog sports new to us. We really enjoyed the relaxed atmosphere and the beautiful settings. The instructors showed a lot of enthusiasm and had attention and love for each individual dog!